Scrub the Tub: Should You Keep Your Bathtub? It’s said that kitchens and bathrooms sell a home and that most buyers will decide whether or not to purchase a home based on these two specific rooms. In a time where both kitchen and bath renovations are imperative to resale and home value, a question is posed: is having a bathtub really that vital in a home, and furthermore, if you are going to renovate your bathroom, should you keep your tub? While the answer may seem obvious, many homeowners and parents will tell you otherwise. To truly answer the question, one must consider varying factors. If you’ve been to a baby shower recently, or even bypassed the infant/toddler section of any retail store, you probably realized rather swiftly that children today have more gadgets, gizmos, and just overall “stuff” than you can shake a stick at. It seems that to even perform a simple task, it’ll implore you to utilize 3 different products, 5 different brands, and 11 different methods, which brings me to our evaluation of “bath time,” and keeping the tub. Now, I can remember a time where most, if not all babies, started bath time in the kitchen sink; once they were a bit bigger and could sit on their own without assistance, they were transferred to the tub—simple transition, no gadgets required. Having been to multiple baby showers over the past few years, I quickly learned that “bath time” is not at all what it used to be. I learned that some parents use specialty bathers that outfit sinks, some use tub seats and slings, but the majority seem to use a “baby tubs” that can be put on countertops, tables, or in larger bathtubs. These baby tubs lead one to question the necessity of having an actual tub in the first place if a smaller tub is going to be placed inside it? I took to the internet to seek out first-hand opinions. Many parents agreed that having a bathtub in their home was essential, while many others stated that utilizing their shower stall was easier, as they could utilize their handheld showerhead, and the additional bench seating made the bathing process easier. Some parents did mention that once their kids aged-out of “tub time,” their bathtub didn’t receive nearly as much use as their shower did. Some homeowners and empty nesters noted only using their bathtub when they were seeking a nice, relaxing soak. The feedback was split, seemingly coming down to preference. However, the question still remained: if you’re to renovate your bathroom, should you keep your tub? To further examine the question, additional matters would need to be considered. Most realtors will insist that your home require a bathtub. Not only is it crucial for resale but having a home without one can significantly limit your pool of potential buyers. However, what if your home is in a seller’s market and/or not in a family-friendly neighborhood? 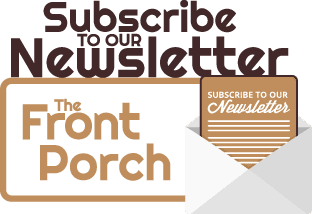 Homes located in desirable, sought-after neighbors, can at times get away without having tubs in them, especially homes that aren’t exactly in a family-bound neighborhood. Many homes located in big cities, known for “hot markets” aren’t as affected in resale if homeowners opted to remodel without one. However, it’s important to note that a seller’s market can change, as can the notion of it being family-friend. Now if your home has more than one bathtub, then there’s no question to debate. But, if one of those tubs is a bulky, jacuzzi tub, courtesy of the 90s and early 2000s, then this may affect your decision. Many homeowners are choosing to keep their bathtubs, as they relish in the thought of a nice, relaxing bubble bath, however, they’re choosing to upgrade their soak! If you decide to keep your tub, consider upgrading it to something more modern and up-to-date. Freestanding tubs are a great, popular option, as they provide a contemporary look and feel, without the bulk of a jacuzzi tub. Undermount tubs work great for homeowners who plan to upgrade tile work and want something more seamless. Clawfoot tubs are classic and provide a timeless elegance to most bathrooms. Whatever your style & preference, it’s important to know what tub to possibly nix and what to select that’s best suited for your lifestyle. 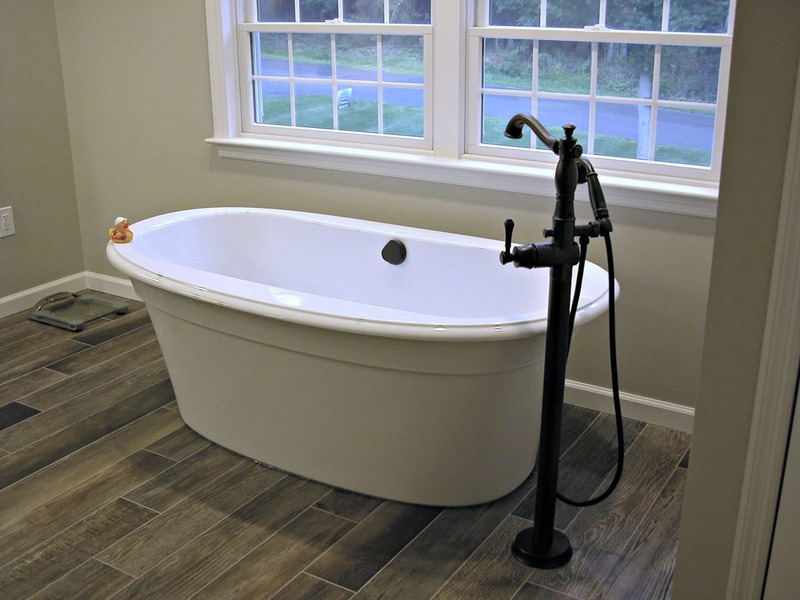 If you’re on the fence on whether or not to keep your tub, it’s best to weigh your options prior to remodeling & demolition, and consider these factors. More times than not, it’s best to at least have one tub in your home—even if it is your forever home—as you don’t want to limit yourself to future potential buyers and their option of bathing young children in a tub. Life can be unexpected, and you don’t want to potentially harm your home’s resale & value. 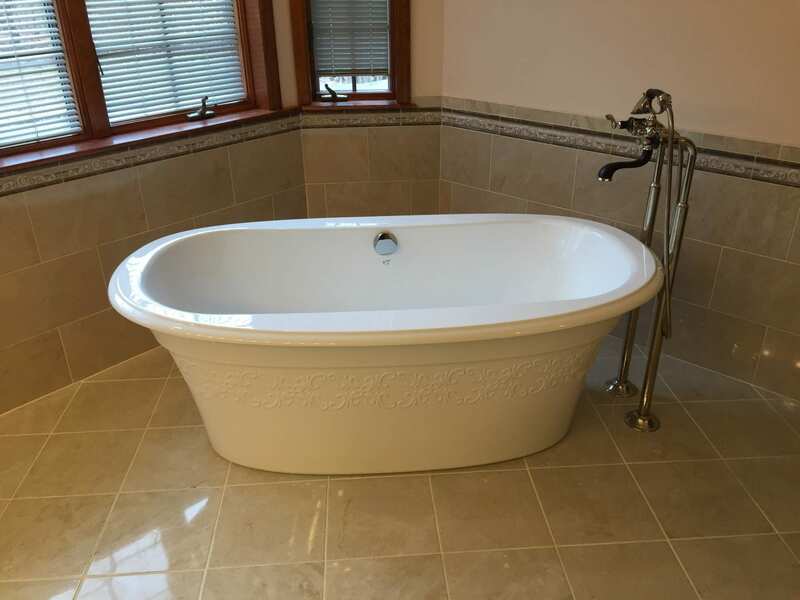 However, if you live in an area that’s known to be highly sought-after and is a Seller’s Market, then it’s best to possibly consult the professional opinion of a Realtor and Contractor, as they may be able to provide you with more guidance as to what your decision should be when considering your tub. Need a Bathroom Remodel, but don’t know what to start? Call DBS Remodel today and let us help you!